There’s no single South Asian identity or experience, more so when you look at the Indian diaspora on a global scale. In Trump’s America and the post-Brexit UK, racism has grown to be an insidious aspect of everyday lives where the brown skin has become either a target or a matter to hide. Over the last two years, I’ve interviewed South Asian artists from all over the world. They all come from different places but a common thread of all their responses has been a merging of cultures and their exploration of identities that transcends borders. They’ve often found themselves in positions to either blend into their surrounding ‘white’ culture and society for acceptance or constantly having to balance between the two. For South Asian immigrants and next generation kids, identity is a multifaceted and highly nuanced thing. On one hand lies their heritage and the traditions of their parents that often gets even more hardened within their homes after they’ve left their homelands, while on the other is the society, culture and customs that they themselves have grown up with – be it American, British, Canadian, or any others. It seems that our digital age of social media we’ve become more connected to those around the world. This global network and platform have become a space for many to explore their multiple identities, to try and mould new ones and even reconnect with their roots. Now, instead of lying below the radar, we’ve seen more and more South Asian artists and designers embracing their multiculturalism and celebrating their homelands in ways we’ve never ventured down before. 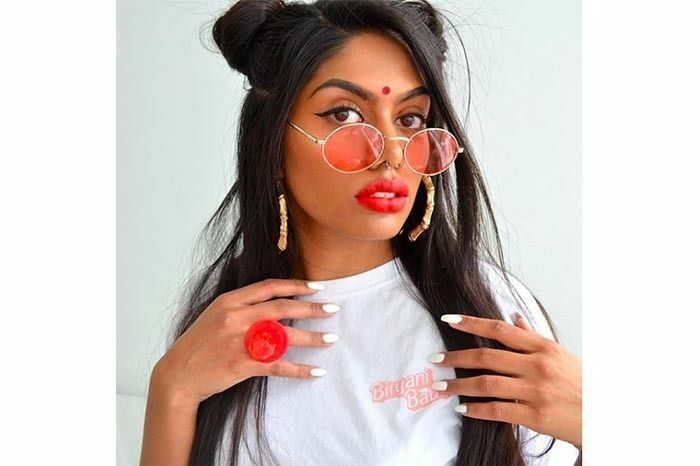 Today we look at just some of these creative minds that are not only introducing the rest of the world to their Indian culture, creating more awareness and breaking stereotypes but even celebrating their heritage by wearing it on their sleeve. 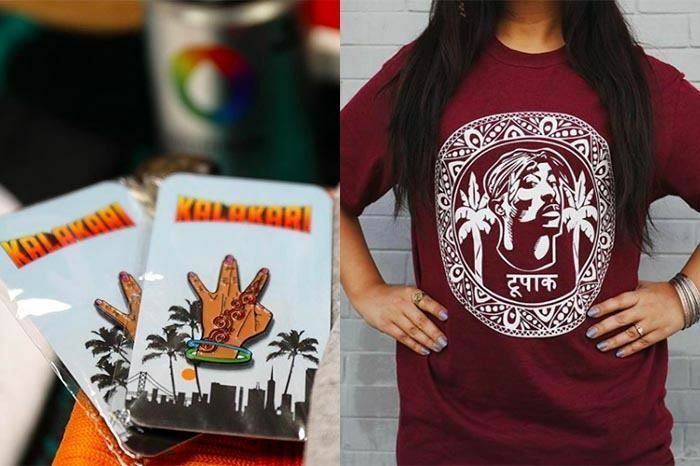 Founded by Nisha K Sethi in 2008, the California-based streetwear company and artist and activists collective built by next-generation Punjabi immigrants. Growing up in strict households, they took to hip hop and graffiti as outlets of creative expression and exploration of their multicultural identity. What started as a street art movement soon branched out into apparel as they saw a lack of women’s streetwear. Through Kalakari’s creations, they’re merging the traditions of their ancestors with experiments in hip-hop culture. “Kalakari is about reclaiming our identity in a society that is constantly appropriating culture. We want people to feel empowered by wearing and representing Kalakari; knowing that we are in touch with our identity and ancestors and that we will not be erased. Kalakari is an underground culture that is built from our roots in hip-hop, street art, and resistance. It is a thundering tribute to our motherland and California West Coast lifestyle,” they write. While the Chup Kar caps were what first caught my eye, their Tupac Motherland T-shirt’s have made it to the top of my shopping list. Check them out on Instagram and their official website. 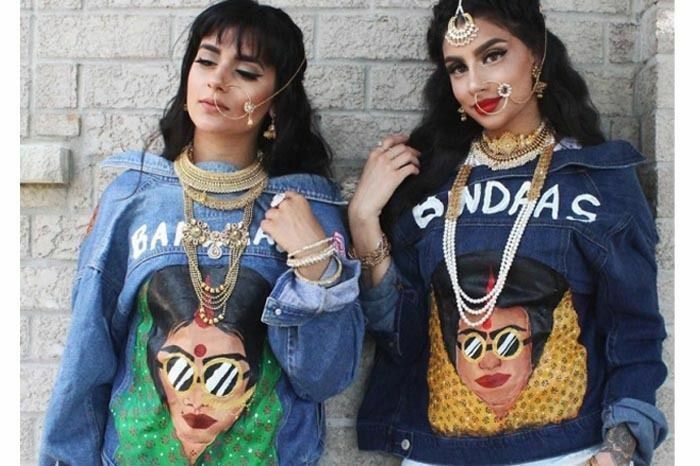 An Art Director and Digital Designer based in Brooklyn, Sumant started Gundi to change the way South Asian women have been represented in the media. She’s doing this through her character creations and apparel that also help finance women back in India. 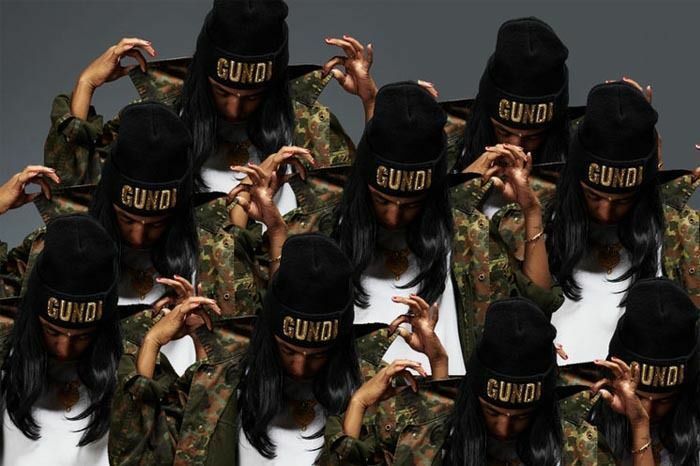 Gundi, in its essence and true translation of the word, is a space for non-conforming and outspoken south Asian women that are tired of being stereotyped and appropriated. 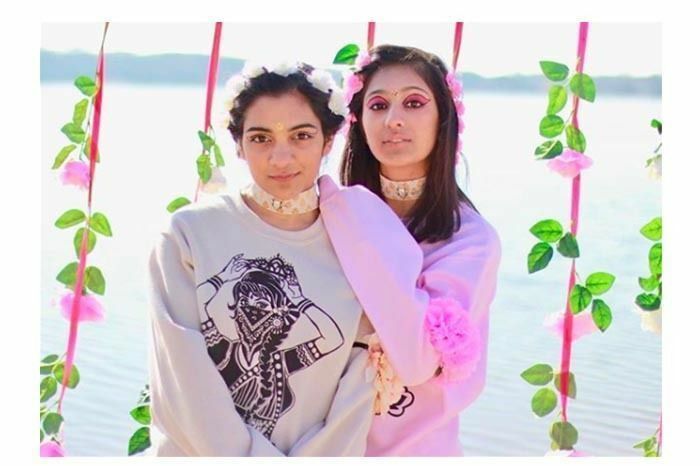 “Through the various media projects in the studio, Tash hopes to explore how feminism manifests itself in the lives of South Asian women, of all backgrounds, and (most importantly) economic classes...And hopefully, when you were these clothes, you feel a little more empowered to speak out and take action in the fight for equality,” she writes. See more of her work on the website, Instagram and shop. Here’s calling all you ‘Biryani Babes’ – Suthagar’s t-shirt design is definitely going to find a spot in your wardrobe. Her online store was launched pretty recently and currently a small collection of mostly prints, stickers, kitschy ‘Chair or Die’ pin I already want, and the aforementioned t-shirt. A Toronto-based Tamilian, the designer uses art and design as a medium to “decode the brown experience” as she says. Really excited to see what designs she comes up with next. Follow her on Instagram and see all products here. Toronto-based artist, Babby The Painter runs her own dukaan with an eclectic collection of products that are a fusion of art and streetwear. Blending traditional aesthetics with modern contemporary ideas is Babbu’s distinct style that evolved as a direct response to the “merging of my two identities and how my surroundings are affected by it. And the idea of fitting in – being ‘too south Asian’ in the West and ‘too western’ in my birth country.” The online store is stocked with everything from ‘bakwaas hats to hand-painted jean jackets’ and there’s lots to choose from if you’re interested in the latter. All completely unique, these jackets are definitely on the higher end of the price spectrum but worth the splurge if you’re looking to invest in a statement piece to last you many years. View more of her collection here. The Denmark-based, Arunachal Pradesh born designer’s collection is a beautiful amalgamation of contemporary style with North Eastern aesthetics and values. The entire label, in fact, is deeply rooted in Arunachal Pradesh’s tribal culture and it shows through the company’s functioning and ethical approach to fashion and sustainability. During one of his first shows, the designs had audiences cheering for the label’s focus on sustainability as well as fresh, unique identity – unlike anything they’d seen before. Not just originality in design, they inspire the values of this socially and environmentally responsible brand which include recognising and respecting the forces of nature, advocating quality and originality. Standing out instead of blending in, Nixon’s indigenous approach to fashion is exciting, especially considering how little is known of the sartorial genius of the North East. 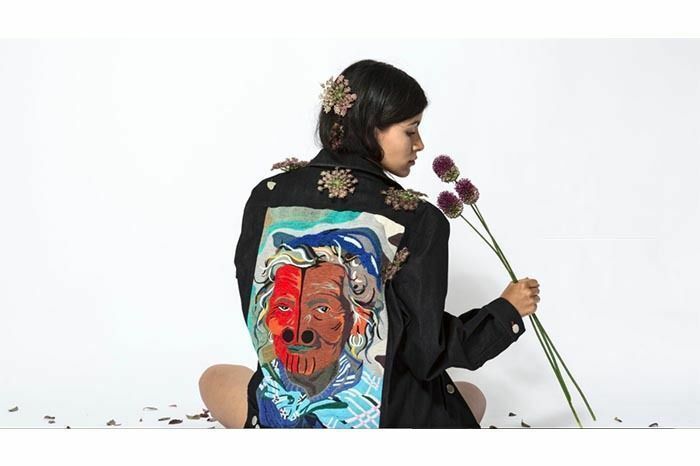 When Minneapolis-based visual artist Nehal Kapil isn’t busy creating her zany west-meets-east remix of classical paintings, she is busy designing and hand printing for her clothing line. The fusion streetwear brand finds its inspiration in art, South Asian culture and pop culture from around the world. “As a brand, we want to use fashion as a medium to empower women across the globe, encourage cultural appreciation, promote acceptance, raise awareness for the arts, and uplift individuals for all the qualities that make them different and unique,” states the website. It was 2004 and, in a post 9/11 America, the Sikh community was facing unprecedented prejudice. They were afraid to celebrate their heritage and instead went to considerable lengths to consolidate their position as patriotic Americans out of fear for being called out and discriminated against. Siblings Tanmit and Sunmit Singh realised that there was something inherently un-American in having to prove your loyalty time and again for the satisfaction of those that were judging you by the color of your skin and the turban on your head. Incensed by this, they started Rootsgear Clothing Co. – a company aimed at making clothes specifically for the Punjabi/Sikh community in the US. It was meant to empower them and make them feel comfortable in their own skin. According to Tanmit, they draw inspiration from two distinctly unrelated sources: South Asian culture, and hip hop. When making any garment, the key question they ask themselves is, “What is ‘Indian’ about this?.” And the results are incredible: a sweatshirt with ‘dope’ scrawled across in a Punjabi script, and bomber jackets with authentic Indian silk inner lining, among many others.